يقع فندق Exmouth Escape Resort، المصمم ليناسب كل الضيوف سواء كانوا من رجال الأعمال أو السياح، في مكان ممتاز في أحد أكثر المناطق تفضيلاً في إكسماوث. لا يبعد الفندق كثيراً عن مركز المدينة، فهو يقع على بعد 2 km منها. في حين يستغرق الطريق منها إلى المطار حوالي 25 دقيقة. يوفر الفندق بفضل موقعة الجيد وصولاً سهلاً إلى أهم معالم المدينة.
. إن Exmouth Escape Resort حريص على توفير الراحة للنزلاء، فلا يوفر الموظفون جهداً في تقديم أفضل الخدمات وضمان حسن الاستقبال. يقدم هذا الفندق العديد من الخدمات الكفيلة بإرضاء أكثر الضيوف تطلباً. يمكن للنزلاء الاختيار من ضمن مجموعة من الغرف المصممة بعناية لتعكس جواً من الراحة، والتي يتجاوز عددها 47. إن حمام سباحة خارجي هو المكان الأمثل في الفندق للاسترخاء وتفريغ طاقتك بعد نهار طويل. 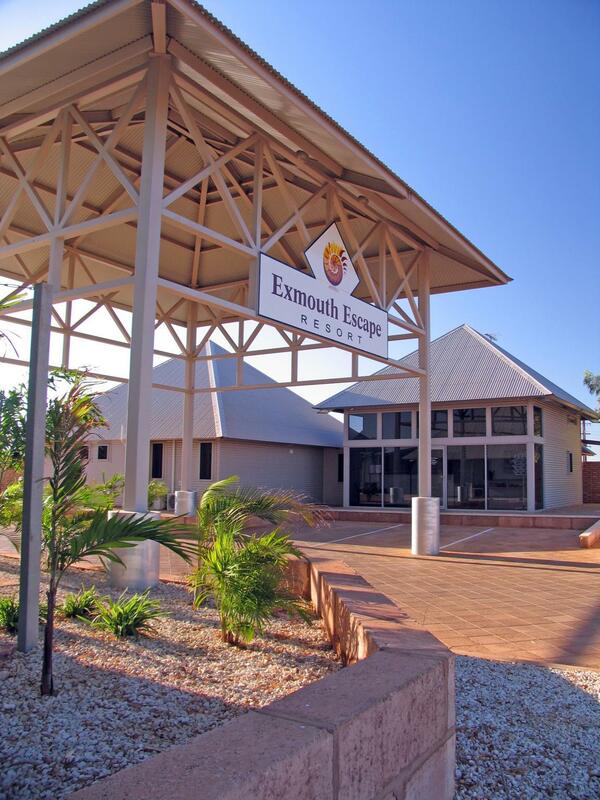 اكتشف مزيجاً ساحراً من الخدمة الاحترافية والخيارات الواسعة من وسائل الراحة والمتعة في Exmouth Escape Resort. ويجب على النزلاء الذين سيصلون خارج ساعات تسجيل الوصول المحددة التواصل مع العقار مباشرةً قبل وصولهم حتى يتسنى إجراء ترتيبات بديلة. يتم فرض رسم إضافي قيمته من 2.5% إلى 2.73% عند استخدام البطاقات الائتمانية. يُرجى الاتصال بالعقار لمزيد من التفاصيل. 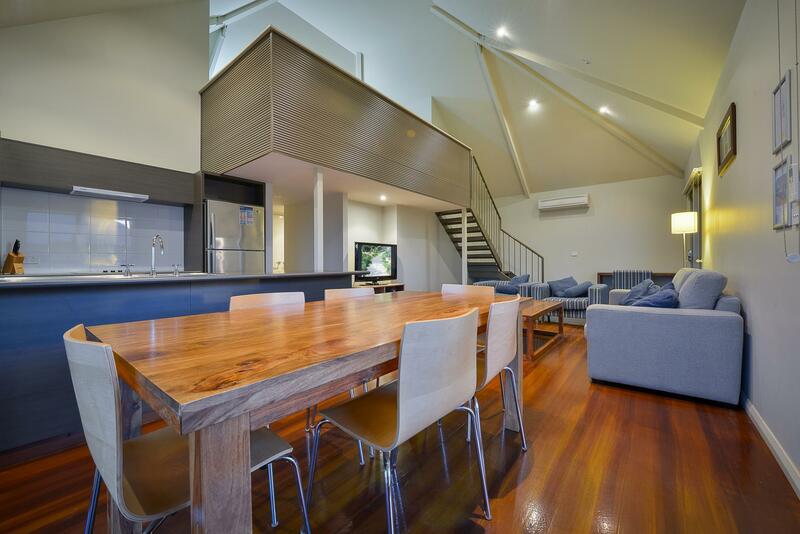 The house is perfect clean and provided of everythings. FOR NEXT TIME I ONLY SUGGEST A ROOM NOT SO CLOSE TO THE RECEPTION BECAUSE OUR APARTMENT WAS NEAR TO PEOPLE WHO HAVE TO WORK EARLY IN THE MORNING. The accomodation itself was very modern in appearance layout was perfect for two couples with seperate largeish bedrooms and two bathrooms. Each self contained unit also has its own small bbq and outdoor area so you can cook the days catch and enjoy the warm weather. The pool is great for the kids and location is just across from town beach and close to local stores. We requested an early check in but unfortunately were unable to have this due to the resort being fully booked and the previous tenant requesting a late check out. The staff were very accomodating and gave us directions to places we could pass the time in town. Would definitely recommend to stay there. Only negative we found was the kitchen chinaware was on the bottom shelf in a cupboard, to low to reach back plates., pretty useless. by far the best set up we have been in for years....everything you could need....such a great set up....we will definitely be back! Very comfortable, clean and well presented. Excellent on-site restaurant too. Fabulous spot - food was great though a bit $$$ which is normal for hotels. Try and get a room overlooking the beach ...and walk down to the short order caravan for the best coffee in the Pillara. Staff were amazing - shuttle bus to town and cleaning staff so helpful. Nice spot, fantastic restaurant, apartments where neat and had everything you needed. The one small thing I thought was strange, was to have to clean up the kitchen area and put everything away, when you are paying top rates to stay there. Otherwise it was a great stay. love the bbq outside the house. staff are very helpful and friendly. the free wifi has a limitation of 2G per person during our 3 nights period which was not adequate. Convenient for a family vocation. Thank you for the Review. Exmouth Escape Resort. Too short and will return in the near future. wonderful place, little bit far from town center. but very new and clean. staff was very nice! 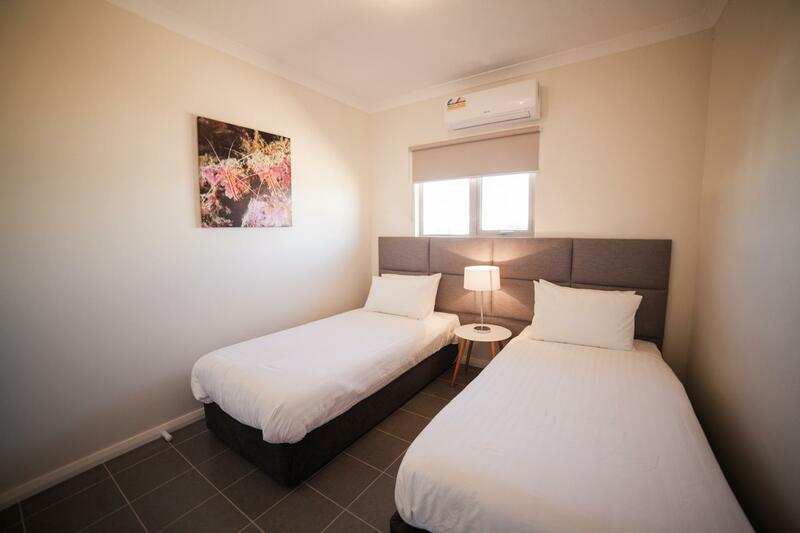 A wonderful relaxed stay in comfortable surroundings. The food was superb, excellent quality of product, preparation and presentation by friendly staff. Highly recommendable. It was our first, but for sure not our last visit. Everything close by and a BBQ outside the door. A great hotel close by everything. Reception were very helpful when I arrived pointing out all the local attractions and places to get a meal and a drink close by. The villa was well equipped and had two bedrooms with another integral with the living area right above it with stairs for access. No matter what your reason for visiting you can be sure to have everything at your fingertips at this comfortable group of villas.